GRANT GARLAND: Born in the Arkansas Delta, Garland is drawing comparisons to a swath of well-known musicians as wide as the meandering Mississippi river. After graduation from Arkansas State University in 2004 with a Bachelor of Arts degree in music, he formed his own band that quickly generated a buzz in northeast Arkansas as well as Memphis, TN. 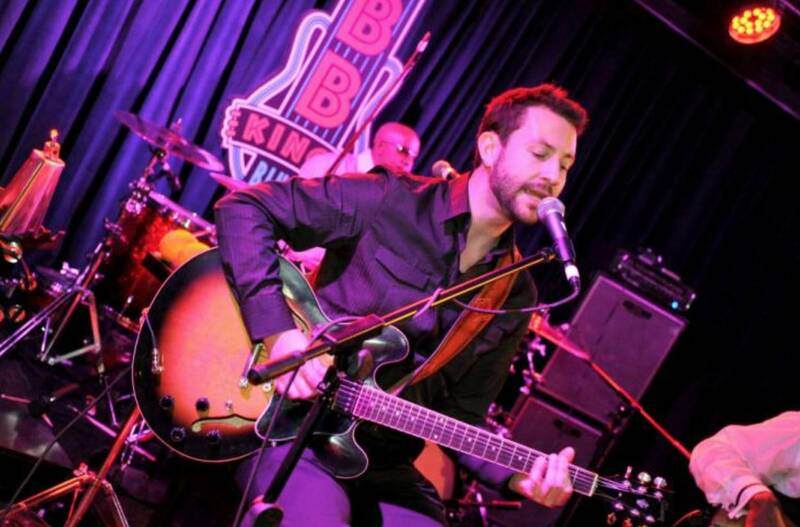 After captivating audiences throughout the Mid-South, Garland moved to Las Vegas in the Summer of 2010 to headline at the BB King's Blues Club on the world-famous Strip. Grant's ability to emulate and embellish upon the diverse musical influences of musical legends that range from Stevie Wonder to Stevie Ray Vaughan electrifies audiences both young and old. His pure talent not only crosses genre lines but is generating genuine excitement from Las Vegas audiences. A talented piano and guitar player, he is also very versatile on brass instruments such as trumpet and flugel horn. Grant Garland has performed with and opened for artists such as B.B. King, Bobby "Blue" Bland, Steve Cropper, Margo Rey, Jimmy Hall, Mike Farris, Jimbo Mathus, Charlie Wood, Jon Faddis, Bob Mintzer, Carl Saunders, Corey Osborn, Chris Vadala, Exile, Preston Shannon, and Jason D. Williams. Click here to check out his next set.